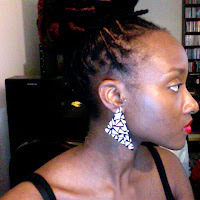 La NomRah Designs Lifestyle Blog: LANOMRAH GIVEAWAY!! Today I am sponsoring my my first blog/twitter giveaway! 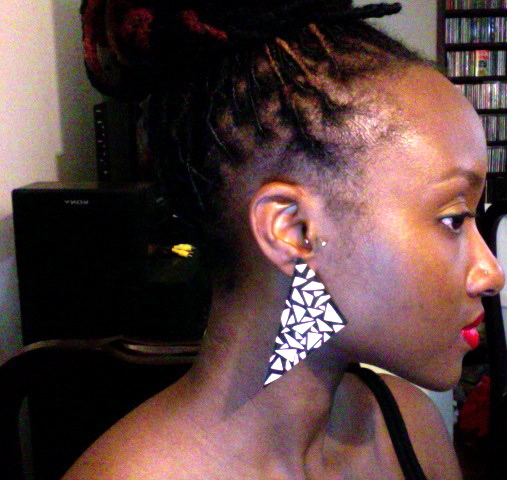 I'll be giving away a pair of one of our best selling designs: the Ecofriendly Kush Studs! 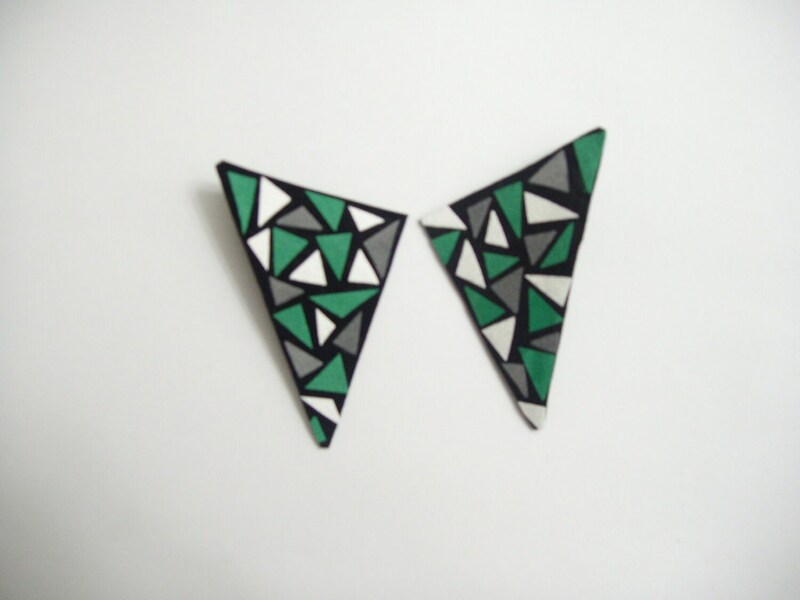 The winner will also be able to customize the studs to his/her color preference (pic 2 is an example). The studs can be worn 2 ways (pic 3 & 4). 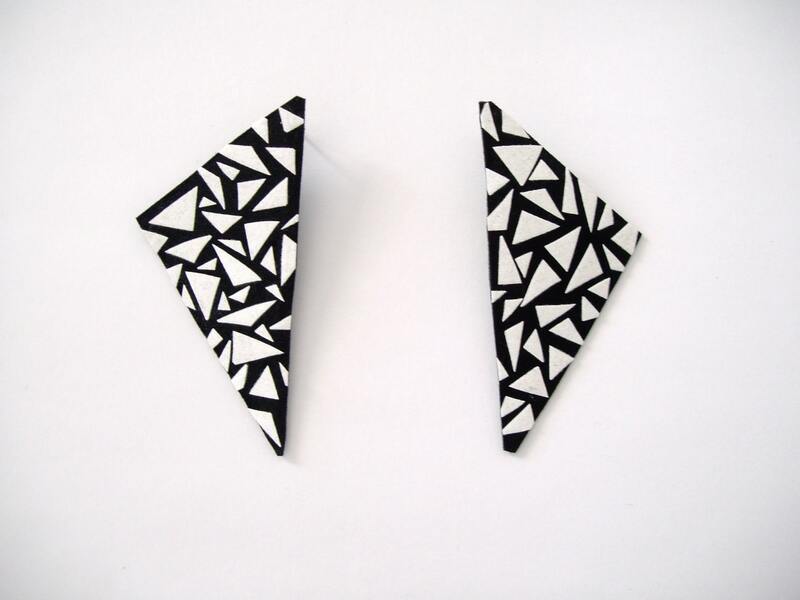 I love these earrings in black & white (classic deco) but I also love how fun a pair with different colors can be! - For an extra entry, "Like" the La NomRah Designs FB page & leave a comment on the facebook page to let us know. The giveaway will end on Wednesday June 29, 2011 at 11:59 pm. Name, Contact email, Shipping Address. N.B: Not in the US? That's ok! Feel free to enter, I'll ship it right to ya! I follow this blog via Google! I follow @LaNomRah on Twitter (@iAMmotherhood)! I like LaNomRah Designs on FB and left a comment there (Taci M.)! Beautiful work. All 3 steps, plus the extra entry, have been made. Thanks ladies! Good luck to you!